At a dentures appointment with Kirkland Dental Excellence, we will first examine the patient’s gums and any remaining teeth, so that we can ensure dentures are the right option for the patient. We will make one or more impressions of the patient’s gums and any healthy teeth that may still be present in the mouth. 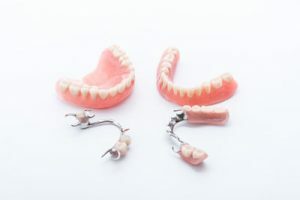 The purpose of an impression is to create a mold that will help in the creation of the dentures.